Restaurant sales hit $825 billion last year in the U.S., but with margins averaging at only three to five percent per business, they’re always looking for an edge on efficiency and just generally running things in a smarter way. A startup called Toast, which has built a popular platform for restaurant management, has closed a hefty round of funding to double down on that opportunity to do that. The company has raised $250 million on a valuation of $2.7 billion, money that it will use to invest in building technology to help restaurants with marketing, recruitment and operational efficiency, as well as start to think about expanding to more territories outside the U.S. The basics of the funding were flagged earlier today by Prime Unicorn Index and we reached out to the company to confirm. It is being led by TCV and Tiger Global Management, with participation from Bessemer Venture Partners and T. Rowe Price Associates funds and other existing investors. This Series E is a big bump up for the company: in its previous round in July 2018, the company was valued at $1.4 billion — partly the result of strong growth at the company. While it’s not disclosing revenue numbers or whether it is yet profitable, Toast currently serves tens of thousands of businesses — covering a range of sizes from independent venues to smaller chains — and in the last year tallied up transactions in the tens of billions of dollars, seeing growth of some 148 percent in its revenues, according to CFO Tim Barash. The restaurant business represents a big opportunity for e-commerce companies, but there have been some notable stumbles where ambitions have not been met with success. Groupon, which spent several years acquiring and organically building a point of sale and restaurant management business, first drastically cut down and then finally called it quits and sold off its efforts, called Breadcrumb, in 2016. Amazon also pulled out of point of sale services (aimed at more than restaurants) and has in certain regions also pulled back on other restaurant efforts like its order management and delivery platform. Barash said in an interview that he thinks the key to why Toast has steadily grown its business through all that is because a large proportion of its own employees — some 70 percent — have worked in the food service industry themselves. Restaurants, as Barash points out, are complicated. “They are essentially manufacturers and retailers at the same time, all in one small physical footprint,” and so the key to building products for them is to understand that and the challenges they face in building and running those businesses. And that’s before you consider the many other factors that can make restaurants a dicey game, from changing cuisine tastes, to changing eating habits — many get food delivered today — to the precariousness of the commercial real estate market and so much more. The aim of Toast is to build tools to apply data science and orderly IT processes to address whichever of those variables that can be controlled by the restaurant. Today, Toast’s products include point of sale services as well as reporting and analytics; display systems for kitchens; online ordering and delivery interfaces; and loyalty programs. It also builds its own hardware, which includes handheld order pads, payment and ordering terminals, self-service kiosks and displays for guests. It also offers links through to a network of some 100 partners, such as Grubhub for takeout food, when a restaurant does not cover those services or functions directly, to help stitch together services to work on its platform. Tomorrow, the plan is to use the funding to enhance all of those with more advanced features that speak to some of the bigger issues and concerns Barash said its customers are voicing today. That will include better and more services aimed at guest engagement and retention; better ways to recruit and keep people in an industry that has a high turnover of employees; and of course more tools to address how efficiently a business is operating to make it more profitable. The company has committed some $1 billion in the next five years to R&D to build more hardware and software. Having access to this kind of tech and platform is a big deal, especially for independently owned places that hope to compete against bigger chains without having to compromise on their core competency: making unique and delicious food. In the meantime, Barash said that while Toast itself is no stranger to approaches from larger players itself — he declined to say who but said many who have ambitions to do more business with the restaurant industry had approached it over the years — the company’s long-term vision is to grow bigger and remain its own boss. It’s an ambition that has hit the spot with investors that have an appetite for high-growth businesses. Amazon will stop forbidding third-party merchants who list on its e-commerce platform in the United States from selling the same products on other sites for lower prices, reports Axios. The company’s decision to end its price parity provision comes three months after Sen. Richard Blumenthal urged the Department of Justice to open an antitrust investigation into Amazon’s policies and a few days after Democratic presidential candidate Sen. Elizabeth Warren announced she would make breaking up Amazon, Google and Facebook a big part of her campaign platform. Also called “most favored nation” (MFN) requirements, Amazon’s price parity provisions gave it a competitive edge, but because of its size, also led to concerns about its impact on competition and fair pricing for consumers. Amazon stopped requiring price parity of its European Union sellers in 2013 after it was the subject of investigations by the United Kingdom’s Office of Fair Trading and Germany’s Federal Cartel Office. TechCrunch has contacted Amazon for comment. Alibaba is about to get a jolt from its largest rival in Southeast Asia. Sea, the Nasdaq-listed business, is raising as much as $1.5 billion from a new share offering that’s sure to be funneled into its Shopee e-commerce business. Sea said it would use the capital for “business expansion and other general corporate purposes.” That’s a pretty general statement and its business span gaming (Garena) and payments (AirPay), but you would imagine that Shopee, its primary focus these days, would be the main benefactor. 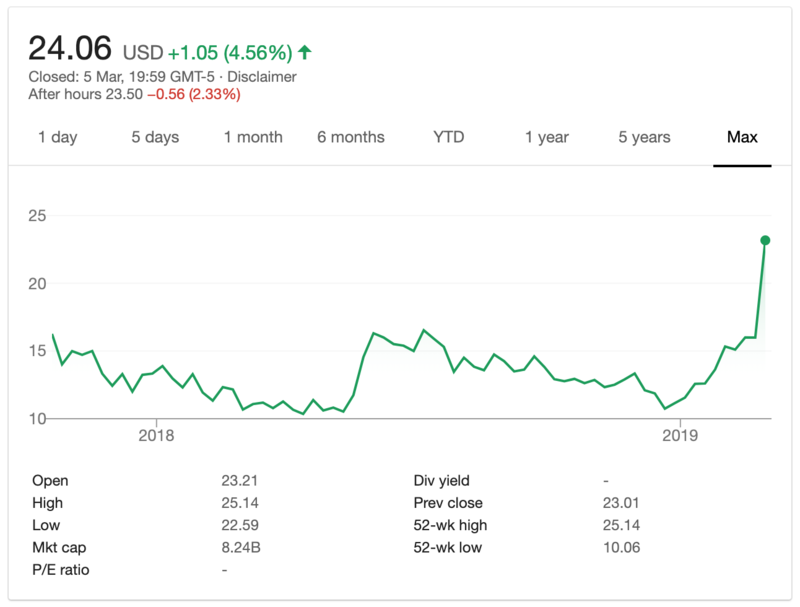 The $22.50 price represents a discount on Sea’s current share price — $24.06 at the time of writing — and the timing sees Sea take advantage of a recent share price rally. The company announced its end of year financials for 2018 last month, but which included positive progress for Shopee and Garena. Whilst it remains unprofitable, Shopee saw annual GMV — total e-commerce transactions, an indicator of business health — cross $10 billion for the first time, growing 117 percent in the fourth quarter alone. Those green shoots were met with enthusiasm by investors, as trading drove the stock price to a record high since its October 2017 IPO. That, in turn, made founder Forrest Li a billionaire on paper and gave Sea a market cap of over $8 billion. The capital is very much needed, however, as Shopee is some way from profitability and that is dragging down Sea’s overall business. While adjusted revenue for Shopee increased by over 1,500 percent last year, it represented just over one-quarter of Sea’s overall $1 billion income in 2018 and contributed heavily to the parent company’s net loss of $961 million. Shopee alone posted a $893 million net loss in 2018. Shopee is up against some tough competitors in Southeast Asia, most of which have strong links to Alibaba. Those include Alibaba’s own AliExpress service, Lazada — the e-commerce service it acquired — and Tokopedia, the $7 billion-valued Indonesian company that counts Alibaba and SoftBank’s Vision Fund among its backers. Sea claims to be the largest e-commerce firm in “Greater Southeast Asia” — a classification that includes Taiwan alongside Southeast Asia — although direct comparisons are not possible since Alibaba doesn’t provide detailed information on its e-commerce businesses outside of China. Alibaba said its international e-commerce businesses — which include many other services beyond Lazada — made $849 million in revenue during its most recent quarter, an annual increase of 23 percent. Lazada is in the midst of a transition — it appointed a new CEO in December — that has included a move away from direct sales. Alibaba said that impacted growth, with GMV rates slowing, but it pledged to continue its focus, having invested a fresh $2 billion into the business last year. “We continue to invest resources to integrate Lazada’s business and technology operations into Alibaba with the aim of building a strong foundation for us to extend our offerings in Southeast Asia,” it said. Shares of Stitch Fix plunged more than 20 percent in after-hours trading on Monday following the release of a tepid fourth-quarter earnings report. The online retailer and personal styling service’s adjusted earnings exceeded analyst expectations, but its revenue and active users fell short of estimates. In the quarter ending July 28, Stitch Fix reported a net income of $18.3 million, or 18 cents per share, up from analyst’s 4 cents per share estimate. Its reported net revenue of $318.3 million, a 23 percent year-over-year increase, failed to meet analyst expectations of $318.6 million. The San Francisco-based company’s user base grew 25 percent YoY, to 2.7 million, another disappointment to Wall Street, which was looking for more than 2.8 million. Stitch Fix, which has a market cap of nearly $4.4 billion, also reported fiscal year 2018 earnings. 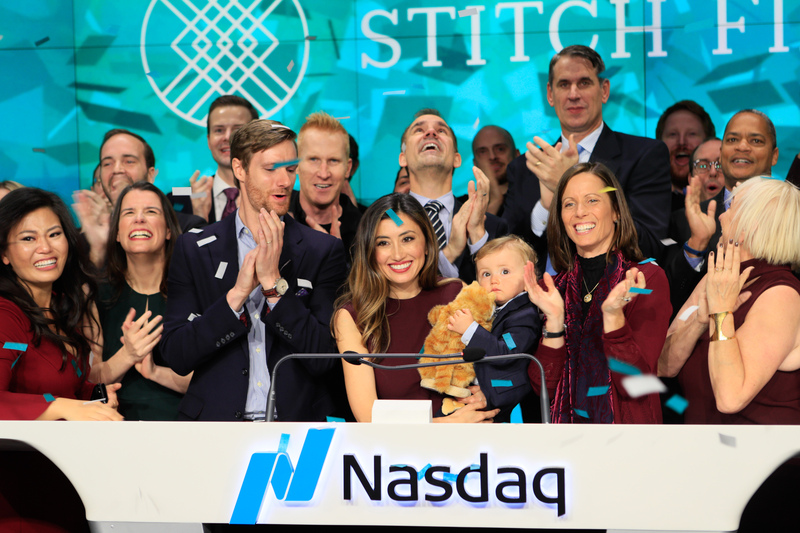 In its first year as a public company, Stitch Fix had $1.2 billion in net revenue, $44.9 million in net income and an adjusted EBITDA of $53.6 million. Founder Katrina Lake took the company public on the Nasdaq in November 2017 in a highly anticipated consumer IPO. The company raised $120 million in the process, selling 8 million shares after making a last-minute decision to downsize its offering ahead of its first day of trading. Following the release of its first-ever earnings report in December, shares of Stitch Fix similarly took a huge hit, plunging down 10 percent on the news. The company usually finds its footing and, overall, its stock has continued to climb since its IPO. Stitch Fix had its best day yet on September 18 when its stock was valued at $52.44 apiece, up from the initial price of $15 apiece. Alongside its earnings report, Stitch Fix announced the upcoming launch of Stitch Fix U.K., its first-ever international market expected to be available to consumers by the end of FY 2019. Following the release of its Q3 earnings report, the company announced the hire of Deirdre Findlay as its new chief marketing officer, as well as the launch of Stitch Fix Kids. On the earnings call Monday, Lake emphasized how both services, Stitch Fix Kids and Stitch Fix U.K., will augment Stitch Fix’s total addressable market. “We believe our ability to create a uniquely personalized shopping experience is something that will resonate with consumers and brands outside of the U.S.,” Lake said in a statement. Vermont Senator Bernie Sanders is seeking additional information about the working conditions in Amazon warehouses in advance of legislation he’s preparing to introduce on September 5. Income inequality was, after all, the centerpiece of Sanders’ 2016 presidential campaign. It was a populist message that resonated strongly with voters, giving the dark horse candidate a boost among concerned progressives and independents during a tooth and nail primary battle. But while the message, perhaps, wasn’t enough to put him over the top, it’s a mission that’s remained central to Sanders’ work on Capitol Hill, finding him taking aim at some of the world’s largest corporations. In recent months, Amazon has been in the senator’s sights. Earlier today, Sanders tweeted out a link asking employees of the online retail giant to share their experiences working for the company. The form allows current and former Amazon employees to share their stories either on the record or anonymously. It asks whether workers “struggle[d] with the demanding working conditions,” and whether they required public assistance. In a phone call today, Sanders told TechCrunch that his office already knows enough about the working conditions in Amazon warehouses, but is seeking additional information as it prepares to introduce legislation on September 5. It’s easy to see why the company has become a prime target for Sanders. A recent SEC filing put the median salary at $28,446 — less than owner Jeff Bezos makes every 10 seconds. The Senator acknowledges that nothing about what Amazon is doing, on the face of it, is breaking any laws. But the discrepancy between its highest and lowest wage earners is enough for him to call into question why government subsidies are required to buoy those on the bottom rung. This is precisely what the proposed legislation aims to address. Put simply, Sanders says we have every reason to believe that the richest man in the world can afford to pay employees more. While Amazon is notoriously tight-lipped about matters these matters, the company has been on the defensive since the senator made it a kind of pet project. Amazon won’t comment directly on the forthcoming legislation until it’s made official, but the company did provide TechCrunch with comment regarding the blowback. A representative from Sanders’ office tells TechCrunch that Amazon invited the senator on a tour of a fulfillment center, and he plans to take the company up on the offer. SAN FERNANDO DE HENARES, SPAIN – 2018/07/16: General view of the Amazon warehouse in San Fernando de Henares. Of course, the concerns over Amazon’s treatment of workers aren’t new. 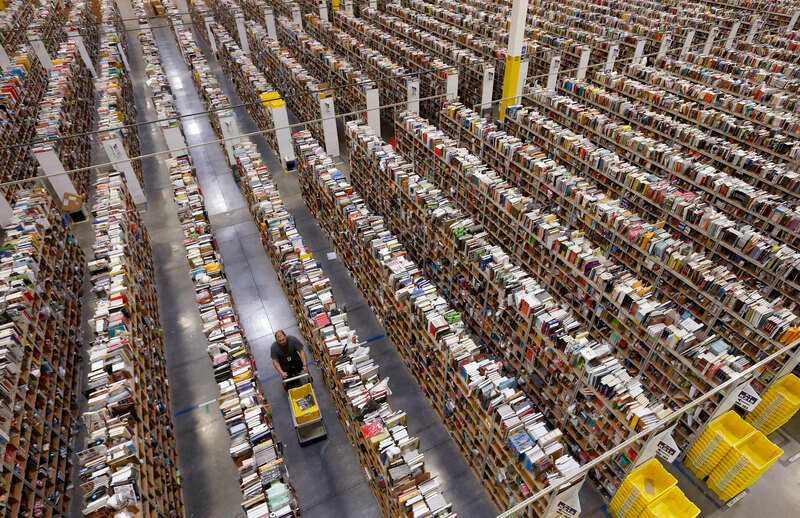 Mother Jones ran an exposé of what it was like working as an Amazon warehouse slave in 2012. In 2013, Gawker published a series of emails from employees discussing life in fulfillment centers citing things like “unrealistic goals,” “very short breaks” and “below zero temps” in warehouses. A protestor cited by The Guardian in 2014 said it was better to be homeless than work for the retailer. And, most recently, Business Insider documented the “horror stories” faced by the Amazon warehouse workers, including nonstop surveillance and so little ability to take breaks, they couldn’t even use the facilities, when needed. Amazon has since been on something of a charm offensive in response to those PR headaches. Last week, there was the odd phenomenon of an army of Twitter accounts claiming to be warehouse workers who were serving up similar talking points. 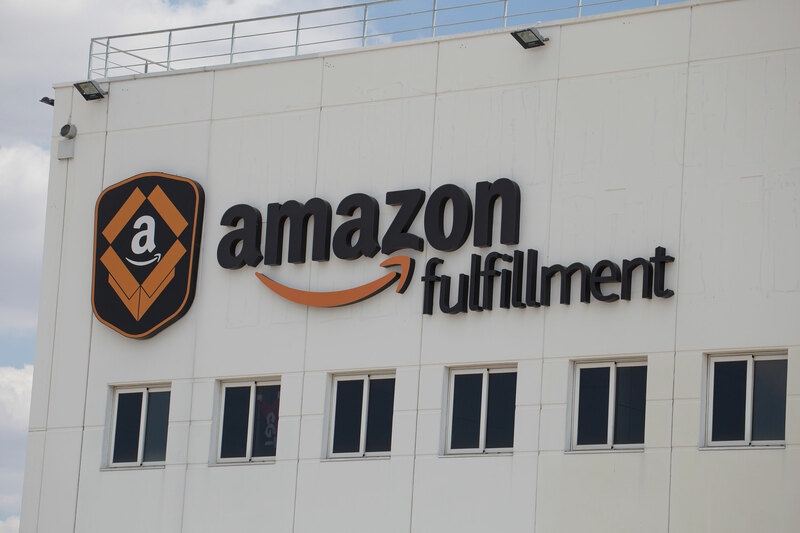 That Amazon positions its own offerings as “highly competitive” can, perhaps, be seen as something of an indictment of larger issues with warehouse fulfillment. While the company is an easy target, it’s certainly not alone. And Sanders notes that his office is casting the net wider than just Amazon. Disney and Walmart have also been targeted by the senator. Does Disney CEO Bob Iger have a good explanation for why he is being compensated more than $400 million while workers at Disneyland are homeless and relying on food stamps to feed their families? Earlier this week, however, Disney reached an agreement with the Walt Disney World union to pay workers a $15 minimum wage. Amazon and Walmart, meanwhile, remain the two key targets for the impending legislation. With Democrats in the minority in the U.S. Senate, it seems unlikely that a hearing will be called where Bezos would be asked to testify à la Mark Zuckerberg, but the senator plans to go ahead with the legislation next week, regardless. Amazon today is continuing to make good on its Whole Foods acquisition by introducing a new grocery pickup service at select Whole Foods locations in the U.S. The service, which is available only to Prime members, will initially be available at stores in Sacramento and Virginia Beach, but will expand to more cities through the year. Customers will be able to place their orders using Amazon’s Prime Now app or on the web via PrimeNow.com, then pick up in as little as 30 minutes, Amazon says. Customers will be able to shop Whole Foods’ fresh and organic produce, bakery, dairy, meat and seafood, floral, and other staples, then pick up their order in an hour from their local Whole Foods Market. This is the same selection of the thousands of items that customers can order for delivery. The majority of in-store items are available across both pickup and delivery services, we understand. For orders over $35, the grocery pickup service is free. Under $35, the pickup fee is $1.99. If customers want to get their order more quickly, they have the option of pay an additional $4.99 for a 30-minute pickup instead. Once they arrive at the store, customers will park in a designated spot and a Prime Now shopper will then bring the groceries out to their car – the customer can stay in their vehicle. The Prime Now app also has a feature that lets the customer alert the store they’re on the way, so the order will be sure to be ready when they arrive. The pickup service, like Whole Foods delivery, will be offered from 8 AM to 10 PM. “Pickup from Whole Foods Market is a perfect option for customers who want to grab healthy and organic groceries at their convenience, all without leaving their car,” said Stephenie Landry, Worldwide Vice President of Prime Now, AmazonFresh and Amazon Restaurants, in a statement about the launch. Amazon already offers grocery delivery from Whole Foods Market across dozens of cities, but this is the first time it has offered grocery pickup. The move is a direct challenge to rival Walmart, which has been steadily rolling out a grocery pickup service of its own for years. Today, that service is available at 1,800 Walmart locations in the U.S., with plans to reach 2,200 by year-end, Walmart confirmed to us. Walmart’s grocery pickup service offers shoppers the same general value proposition as Amazon’s. That is, you can shop online for your groceries, drive to the store, then have someone bring them out to you. Walmart’s service has been especially well-received by parents with small children, who don’t like the hassle of bringing them into the store for grocery shopping, as well as by others who just don’t have a lot of time to grocery shop. 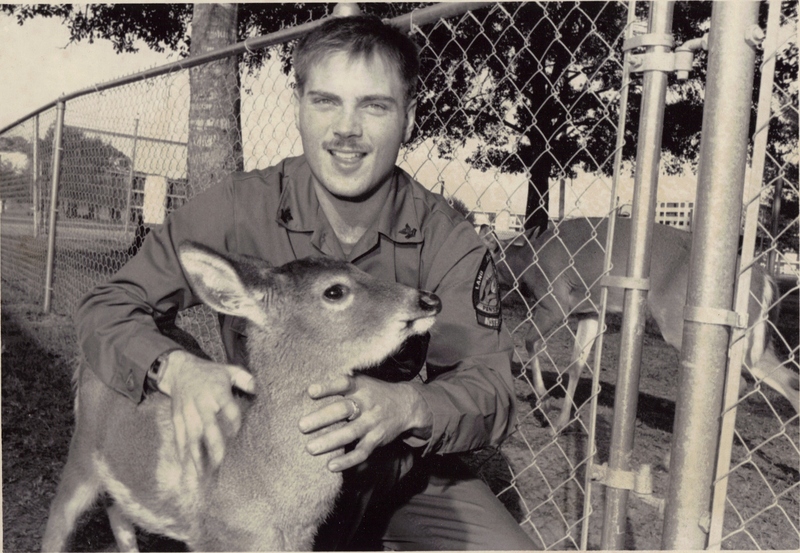 The service has made sense for Walmart’s more value-minded customers, too. With grocery pickup, shopping can be more affordable because there’s not the overhead of running a delivery service – as with Instacart and Target-owned Shipt, where it’s costlier to use the app than to shop yourself. (Plus, you have to tip). In addition to not marking up the grocery prices, Amazon notes that Prime members can also receive the same 10 percent off sale items they would otherwise get if shopping in the store, and they’ll enjoy the deeper discounts on select items. These savings are available in-store, or when using grocery pickup or delivery. Alongside this launch, Amazon is also adding a new way to use Alexa for voice shopping from Whole Foods. Alexa will pick the best available match for your request, considering users’ order history and purchasing behavior of other customers when it adds an item to the cart. But customers will review these cart additions when they go online later to complete their order and checkout. It’s easy to swap the item in the cart for another one at that time. A report released this week by The Information claimed that few Alexa owners were actively voice shopping using their Alexa devices, but this data seemed to overlook Alexa’s list-making capabilities. That is, people are more likely using Alexa to add items to an in-app shopping list, which they later revisit when they’re back on their phone or computer to complete the purchase. This behavior feels more natural, as shopping often requires a visual confirmation of the product being ordered and its current pricing. It’s not surprising that people aren’t using Alexa to transact directly through the voice platform, but it is a bit far-fetched to claim that Alexa isn’t providing a lift to Amazon’s bottom line. In addition to list-making, Alexa also helps to upsell customers on Prime memberships, and its other subscription services, including Prime Music Unlimited, the number 3 music service behind Spotify and Apple Music, as well as Audible subscriptions. Plus, Alexa controls the smart home, and Amazon has acquired smart home device makers and sells its own smart home hardware. It also offers installation services. Those sales, like music or audiobooks, also aren’t directly flowing through Alexa, but Alexa’s existence helps to boost them. Amazon’s new Whole Foods/Alexa integration will also capitalize on the more common behavior of list-making, rather than direct check out and purchase. Amazon declined to say which other markets would receive Whole Foods grocery pickup next, how many it expects to support by year-end, or what factors it’s considering as to where to roll out next. It would only say that it will reach more customers this year. SessionM announced a $23.8 million Series E investment led by Salesforce Ventures. A bushel of existing investors including Causeway Media Partners, CRV, General Atlantic, Highland Capital and Kleiner Perkins Caufield & Byers also contributed to the round. The company has now raised over $97 million. At its core, SessionM aggregates loyalty data for brands to help them understand their customer better, says company co-founder and CEO Lars Albright. “We are a customer data and engagement platform that helps companies build more loyal and profitable relationships with their consumers,” he explained. Essentially that means, they are pulling data from a variety of sources and helping brands offer customers more targeted incentives, offers and product recommendations “We give [our users] a holistic view of that customer and what motivates them,” he said. To achieve this, SessionM takes advantage of machine learning to analyze the data stream and integrates with partner platforms like Salesforce, Adobe and others. This certainly fits in with Adobe’s goal to build a customer service experience system of record and Salesforce’s acquisition of Mulesoft in March to integrate data from across an organization, all in the interest of better understanding the customer. When it comes to using data like this, especially with the advent of GDPR in the EU in May, Albright recognizes that companies need to be more careful with data, and that it has really enhanced the sensitivity around stewardship for all data-driven businesses like his. “We’ve been at the forefront of adopting the right product requirements and features that allow our clients and businesses to give their consumers the necessary control to be sure we’re complying with all the GDPR regulations,” he explained. The company was not discussing valuation or revenue. Their most recent round prior to today’s announcement, was a Series D in 2016 for $35 million also led by Salesforce Ventures. SessionM, which was founded in 2011, has around 200 employees with headquarters in downtown Boston. Customers include Coca-Cola, L’Oreal and Barney’s. A week after PayPal led a $50 million round in the cross-border payment specialist PPRO, one of its big competitors in the developing world has announced an acquisition of its own in the same space. PayU — the payments division of Naspers that is sometimes described as the PayPal of the developing world — has acquired Zooz, a startup based out of Israel that provides an API to merchants that lets them accept a variety of payments depending on the market. The two had already been working together — specifically to provide PayU payment options to merchants in markets where PayU is active — and the plan will be to integrate the services further to enable PayU to step deeper into the cross-border payment services space, potentially even by enabling the integration of the payment methods of competitors as part of the mix of payment options. PayU will also invest in adding further features to the Zooz platform, such as fraud management (which you could argue is table stakes these days in payments), real-time reporting and smart routing. Zooz’s whole team of 70 will be joining, including co-founders Oren Levy (CEO) and Ronen Morecki (CTO), who will respectively take senior roles at PayU as business development with larger merchants, and CTO of innovation. Terms of the deal have not been disclosed, but that PayU has said that this deal brings its total spend on acquisitions and investments to about $350 million to date. That includes acquiring CitrusPay for $130 million, investing €100 million (between $120 million and $130 million) in Kreditech and several other investments. Doing the math, this potentially puts this deal at a range of between $50 million and $100 million. Zooz was founded in 2010 and had raised around $33 million, from investors that include Target Global Ventures, Fang Fund, iAngels, Kreos Capital and existing investors Blumberg Capital, lool ventures, Rhodium, Claltech (Access Industries’ Israeli tech vehicle), XSeed Capital, CampOne Ventures and angel investor Eilon Tirosh. Similar to PPRO, the company in which PayPal invested earlier this month, Zooz’s service addresses the widespread fragmentation that exists in payments globally. While credit cards are very much the norm in the US, globally they account for just under 20 percent of all e-commerce transactions, with consumers and businesses in different geographies developing their own localised payment methods and preferences. For example, cash on delivery or deposited with convenience stores, or bank transfers also play big roles. This can be a problem for a merchant that is based in one country but interested in selling to people in another — an opportunity estimated to be worth $994 billion globally — if it doesn’t accept whatever the local payment method happens to be. Zooz addresses this by providing an API to merchants that gives them the option of a number of payment providing companies and methods so that they can enable the most popular variety of payment options to buyers depending on the market. It will be worth watching whether payment companies will continue to be happy integrating with Zooz after its sale to PayU is complete. The fact that Zooz already integrates with different payment options, and itself is not a payment services provider, was one reason why PayU was interested in it. At a time when there are multiple options for payment methods, including PayU itself, there is potentially an opportunity to be able to make revenues by trying to play in as many of those transactions as possible. Notably, PayU already lets people integrate some 250 methods into its own wallet, and it says it’s the leading online payment service provider in 16 markets out of the 17 in which it is active..
Zooz potentially will be boosting that footprint with more than just a platform that enables multiple payment options, but the transaction data and analytics that come with those transactions, which can become useful for other services in other parts of the business. “The unique contribution we bring to PayU is an advanced technological layer which not only helps merchants worldwide to upscale their operations and provide a better customer experience, but also offers analytics and optimization capabilities that equip them with unprecedented insights,” noted Levy, Zooz’s CEO. Google has been increasing its presence in China in recent times, and today it has continued that push by agreeing to a strategic partnership with e-commerce firm JD.com which will see Google purchase $550 million of shares in the Chinese firm. Google has made investments in China, released products there and opened up offices that include an AI hub, but now it is working with JD.com largely outside of China. In a joint release, the companies said they would “collaborate on a range of strategic initiatives, including joint development of retail solutions” in Europe, the U.S. and Southeast Asia. The goal here is to merge JD.com’s experience and technology in supply chain and logistics — in China, it has opened warehouses that use robots rather than workers — with Google’s customer reach, data and marketing to produce new kinds of online retail. Initially, that will see the duo team up to offer JD.com products for sale on the Google Shopping platform across the word, but it seems clear that the companies have other collaborations in mind for the future. JD.com is valued at around $60 billion, based on its NASDAQ share price, and the company has partnerships with the likes of Walmart and it has invested heavily in automated warehouse technology, drones and other ‘next-generation’ retail and logisitics. The move for a distribution platform like Google to back a service provider like JD.com is interesting since the company, through search and advertising, has relationships with a range of e-commerce firms including JD.com’s arch rival Alibaba. But it is a sign of the times for Google, which has already developed relationships with JD.com and its biggest backer Tencent, the $500 billion Chinese internet giant. All three companies have backed Go-Jek, the ride-hailing challenger in Southeast Asia, while Tencent and Google previously inked a patent sharing partnership and have co-invested in startups such as Chinese AI startup XtalPi. Carro, an automotive classifieds service and car financing startup based in Singapore, has closed a $60 million Series B round to scale its business in Southeast Asia. Singtel Innov8, Golden Gate Ventures and Alpha JWC. Carro raised a $12 million Series A round in March 2017. This latest capital takes it to $78 million from investors to date, according to Crunchbase. The 2.5-year-old company said in an announcement that $250 million of vehicles were sold last year across its three markets: Indonesia, Thailand and Singapore. That’s more than double the $120 million it claimed in 2016. Last March, Carro introduced its Genie Finance underwriting business, and over its first year, it claims to have originated over $100 million in loans while amassing a loan book of nearly $40 million. Carro CEO Aaron Tan previously spent time at Singtel Innov8 and is one of a trio of co-founders. Tan told TechCrunch that the capital will initially be spent growing Carro’s business in Indonesia, Thailand and Singapore, but further down the line, there’s a plan for expansion. “The exact markets are still to be determined but it may be a small setup in Japan and other sources of cars,” he added. Carro has already expanded in terms of services. Initially a vehicle marketplace, it launched Genie Finance and has also forayed into insurance brokerage and road-side assistance. It recently introduced a service that completes vehicle sales in 60 minutes — Carro Express — which it said is now available in 30 locations across Southeast Asia. “We will double down on our online marketplaces and financing in emerging markets this year. Ultimately, we want to improve the experience of selling and buying a car, as well as provide access to capital to the next billion people, which will improve the quality of lives,” Tan said in a statement. Carro is rivaled by a number of startups, including BeliMobilGue in Indonesia, Carsome, iCar Asia and Rocket Internet’s Carmudi, although with its new raise in the bank Carro is the best-funded by some margin. iCar Asia, which is managed by Malaysian venture builder Catcha, raised $19 million last November. This year has seen Carsome — which covers Malaysia, Singapore, Indonesia and Thailand — raise a $19 million Series B, BeliMobilGue — Indonesia-only — raise $3.7 million and Carmudi land $10 million. In the case of Carmudi, the business has retrenched itself. At its peak it covered over 20 markets worldwide across Asia, the Middle East, Africa and Latin America, but today its focus is on Indonesia, the Philippines and Sri Lanka. Carro’s monster raise follows another notable deal in Southeast Asia today which saw Carousell close a Series C round worth $85 million. The firm added backing from new investors DBS, Southeast Asia’s largest bank, and EDBI, the corporate investment arm of Singapore’s Economic Development Board. Singapore-based e-commerce startup ShopBack came on the radar when it raised $25 million last November, and now the company is making its first acquisition. ShopBack said today it has picked up Seedly, a fellow Singaporean startup that offers a personal finance service, in an undisclosed deal. The entire team will move over and Seedly will continue as a business under ShopBack’s management. The ShopBack service is an e-commerce aggregator that helps online sellers reach customers and incentivizes consumers with cash-back rewards. Seedly, meanwhile, is designed to simplify finance for millennials and young people across Southeast Asia. It was founded two years ago and raised seed funding from East Ventures (also a ShopBack investor) and NUS Enterprise in 2016, it also graduated Singapore bank DBS’s “hotspot” pre-accelerator program. The deal is a fairly rare example of a smaller startup in Southeast Asia being acquired by a larger one for more than just talent, and there seems to be plenty of potential synergies between the two services. ShopBack aspires to have close touchpoints with how young consumers in Southeast Asia spend their money online, so helping them to manage it plays into that focus. Meanwhile, Southeast Asia isn’t blessed with many local consumer finance services — despite more than 330 million internet users — so the Seedly business can benefit from ShopBack’s regional presence for expansion. The announcement of the deal comes 24 hours after ShopBack rival iPrice, which aggregates e-commerce in Southeast Asia, picked up a $4 million investment led by chat app company Line’s VC arm. ShopBack has raised over $40 million to date from investors that include Credit Saison, AppWorks, Intouch, SoftBank Ventures Korea and Singtel Innov8. iPrice, a service that aggregates Southeast Asia’s e-commerce websites in a single destination, has pulled in new funding led by messaging app Line’s VC arm, Line Ventures. The round is officially undisclosed, but TechCrunch understands from a source close to negotiations that it is worth around $4 million. Existing iPrice backers Cento Ventures (formerly known as Digital Media Partners) and Venturra Capital also took part in this round. iPrice, which has its HQ in Malaysia, Kuala Lumpur, previously raised a $4 million Series A in late 2016. Today’s investment takes the startup to $9.7 million raised overall. The company was started in 2015 in response to the growing number of e-commerce companies in Southeast Asia, and in particular the increasing number of vertical-specific options. Even though there are some giants, such as Alibaba’s Lazada, the region has a number of smaller players that can struggle for visibility. iPrice was initially a coupon site, before pivoting into an aggregation model which essentially acts as a destination for shoppers to then go on and purchase items from e-commerce retailers. In a way, it is much like flight booking sites — such as Skyscanner — which ask a customer where they want to go before scouring the web for the best travel deals. iPrice does this for e-commerce in Southeast Asia. It hopes that simplifying things through a single destination portal can make it the go-to online buying site for the region, which now has over 330 million internet users — more than the population of the U.S. — according to a recent report co-authored by Google. Today, iPrice claims to offer over 500 million SKUs across Malaysia, Singapore, Indonesia, Philippines, Thailand, Vietnam, and Hong Kong. The company said that over 50 million people visited its site since December 2016, and this year alone it is aiming to grow to 150 million visitors. The company said electronics has been a particular driver while, outside of working with e-commerce firms to drive business, it has developed a B2B business with media groups and brands, including Mediacorp in Singapore and Samsung in Indonesia, who pay to tailor its service. Last year, it developed an insightful report on the state of e-commerce in Southeast Asia. The deal makes sense for Line Ventures because of the unique vantage point that iPrice occupies, while it also ties into parent company Line’s desire to go beyond being a messaging app and build out a mobile ecosystem. That’s seen it develop services such as food delivery, ride-hailing, payments and e-commerce, although it has struggled in the latter category. A relationship with iPrice might give it greater insight for future e-commerce ventures in Southeast Asia. Alibaba is increasing its control of Lazada, its e-commerce marketplace in Southeast Asia it acquired control of in 2016, after it injected another $2 billion into the business and replaced its CEO with a long-standing Alibaba executive. Alibaba’s first investment came in April 2016 when it bought 51 percent of Lazada for $1 billion, and it added another $1 billion last summer to increase its equity to around 83 percent. With today’s news, Alibaba has invested $4 billion to date which it said will “accelerate the growth plans” and help further tie the Lazada business into Alibaba’s core e-commerce service. There’s already been plenty of evidence of increased ties between Alibaba and Lazada. The latter began offering products from Alibaba’s Taobao marketplace across Southeast Asia last year, and Alibaba has replaced Lazada’s tech team leadership with executives of its own. The latest shakeup is the appointment of Lucy Peng as Lazada’s new CEO to replace Max Bittner, who was installed by former owner Rocket Internet back in 2012. Peng, who is one of Alibaba’s original 12 founders, has been Chairwoman of Lazada and is executive chairman of Ant Financial, Alibaba’s fintech affiliate company. Bittner will remain involved as “senior advisor to Alibaba Group” and apparently involved in future strategy, including further international expansion opportunities. Lazada has progressed significantly since Alibaba’s first investment — which came at a time when the business had been close to running out of money — but the reality in Southeast Asia is that e-commerce in the region is a loss-making industry with plenty of competition. Amazon entered the foray last year, but it remains only in Singapore, while Shopee is a two-year-old entrant bankrolled by Sea, formerly Garena, which raised over $1 billion in a U.S. IPO last year. Alibaba hasn’t just limited its Southeast Asia approach to backing Lazada. The firm also invested $1.1 billion in Tokopedia which competes with Lazada in Indonesia, Southeast Asia’s largest economy and the world’s fourth most populous country. Yesterday, Amazon and Whole Foods ruined a perfectly slow news day on a Friday in June with the announcement that Amazon intends to buy Whole Foods for almost $14 billion. The most obvious victim of the deal was Instacart, in which Whole Foods invested and with whom Whole Foods has a five-year contract. Uber had announced in January that it was bringing its food delivery service to India, its fastest-growing market in the world. And finally, it’s here. UberEATS has rolled out in Mumbai and will soon be taken to five other Indian cities. India becomes UberEATS’ fourth Asian market, after it launched in Singapore last May, followed by Tokyo (Japan) and Bangkok (Thailand). A former Indian minister has been duped in an online puppy sale. Salman Khurshid, who had served in the previous government, tried buying a pedigree Maltese puppy on a website that was offering them for cheap. SEE ALSO: Man opens bag of crisps to find only one inside. Yes, you read that right. However, that was not to be. This came to light after Khurshid filed a police report against the ecommerce scammer, Press Trust of India reports. PebblePost is betting that there’s a big marketing opportunity in printed postcards and catalogs. The startup is announcing that it has raised $15 million in Series B funding. The round was led by RRE Ventures, with participation from Greycroft Partners and Tribeca Ventures. RRE’s Jim Robinson is joining the PebblePost board of directors. The old English proverb came to life for Mumbai-based Shyam Kumar, a peon at mobile wallet firm Citrus Pay. He became a millionaire after his employer was acquired by Naspers-backed online payments company PayU in a $130 million deal last year. 42-year-old Kumar, a migrant from Uttar Pradesh, had joined Citrus Pay for a salary of Rs. 8,000 ($120) in 2010 when it was a lesser-known entity and e-commerce in India was just about finding its feet. Uber, in a first-of-its-kind innovation, now allows users in India to rent a cab for half a day without any surge pricing. After successfully piloting the service, UberHIRE, in the southern city of Kochi, the company has now made it operational in eight more Indian cities — New Delhi, Bangalore, Chennai, Mumbai, Pune, Ahmedabad, Vizag and Nagpur. The service is evidently Uber’s answer to its rapidly-growing Indian rival Ola’s rental service, Ola Rental, that launched last year.